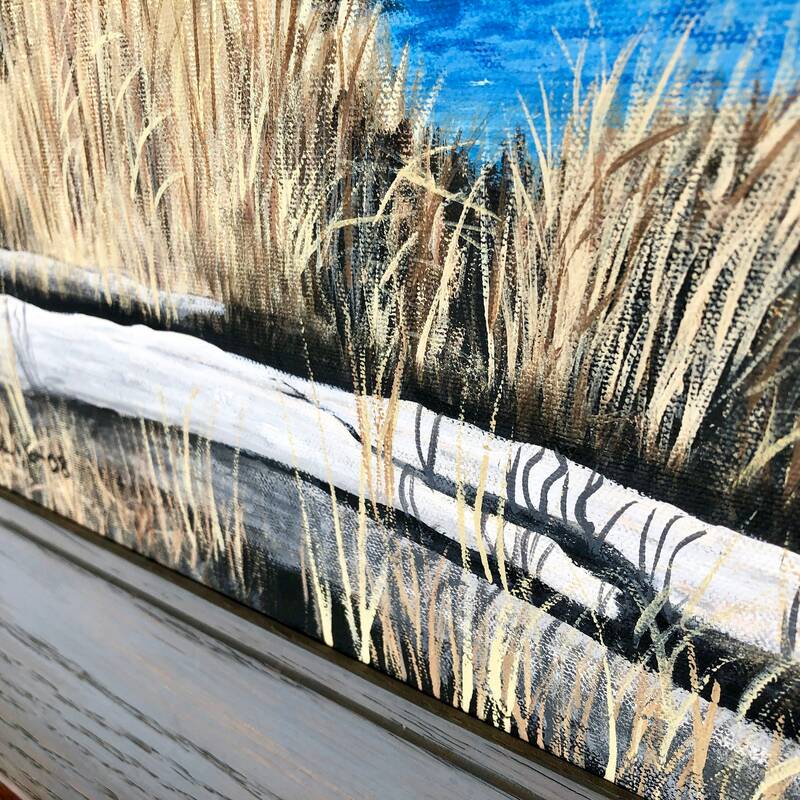 Let this stunning piece of landscape art adorn your interior space with its crisp nature colors. 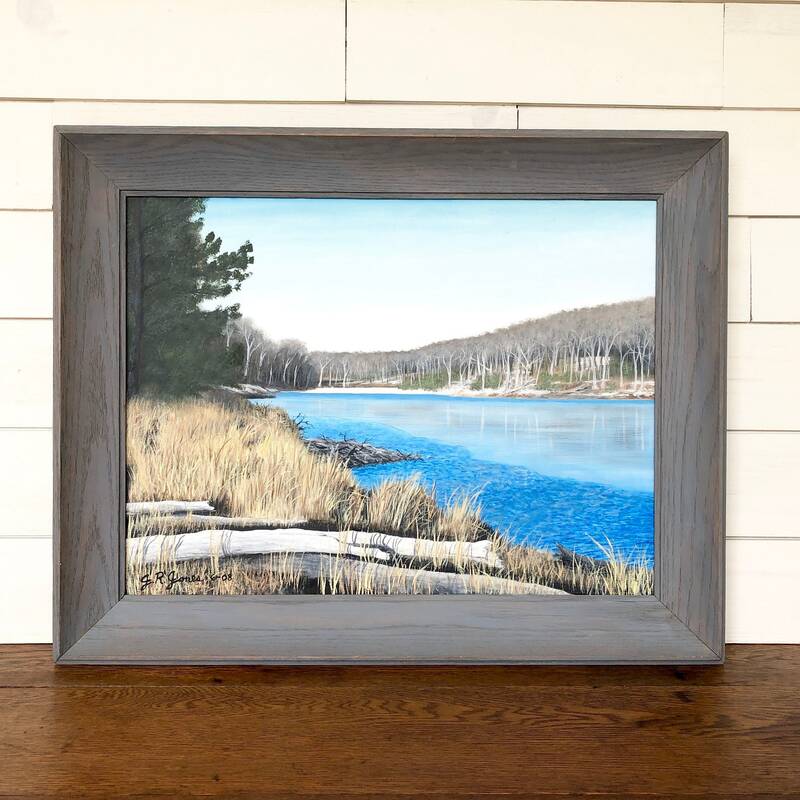 An original, framed Lake Scene painting with acrylics on canvas. 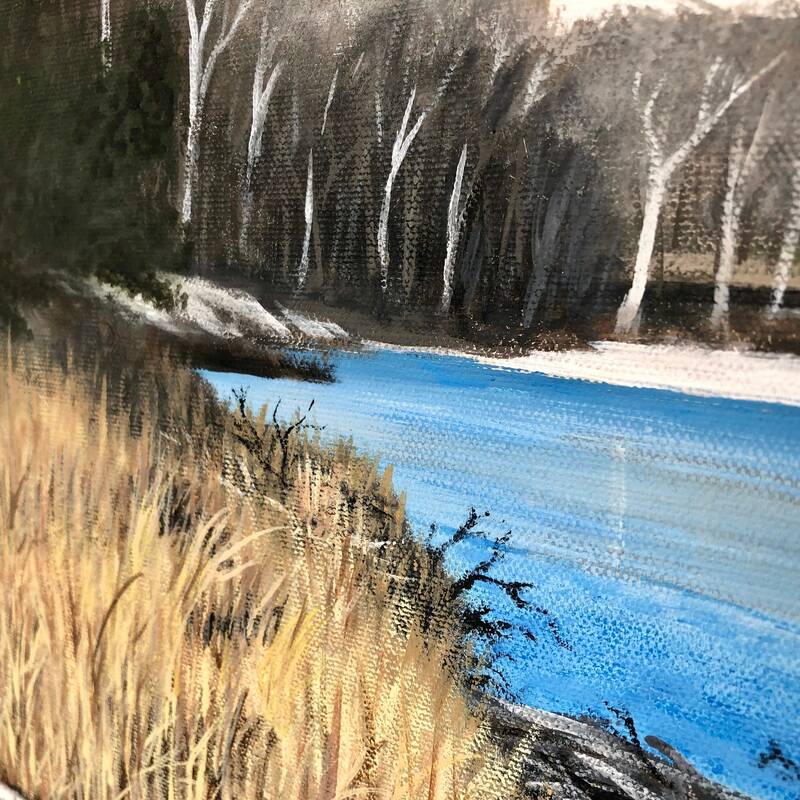 It is the Blue Mountain Lake in Sussex County New Jersey thawing out after the winter - hence the name Winter Thaw by Jessica Jones. 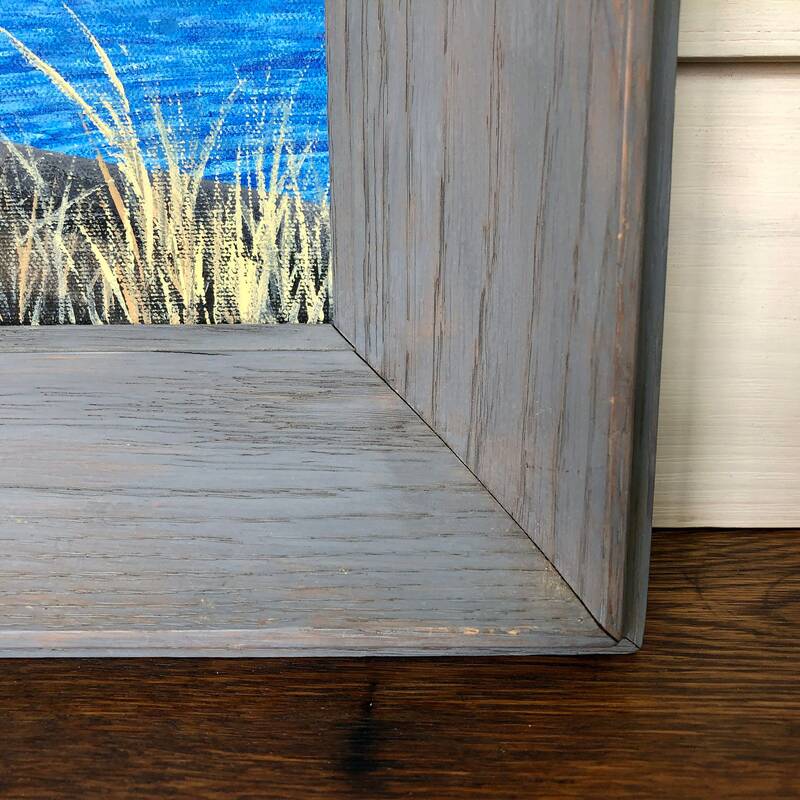 A bright blue piece of wall art in an oak wooden frame that has been painted in a gray color and distressed for a rustic look. 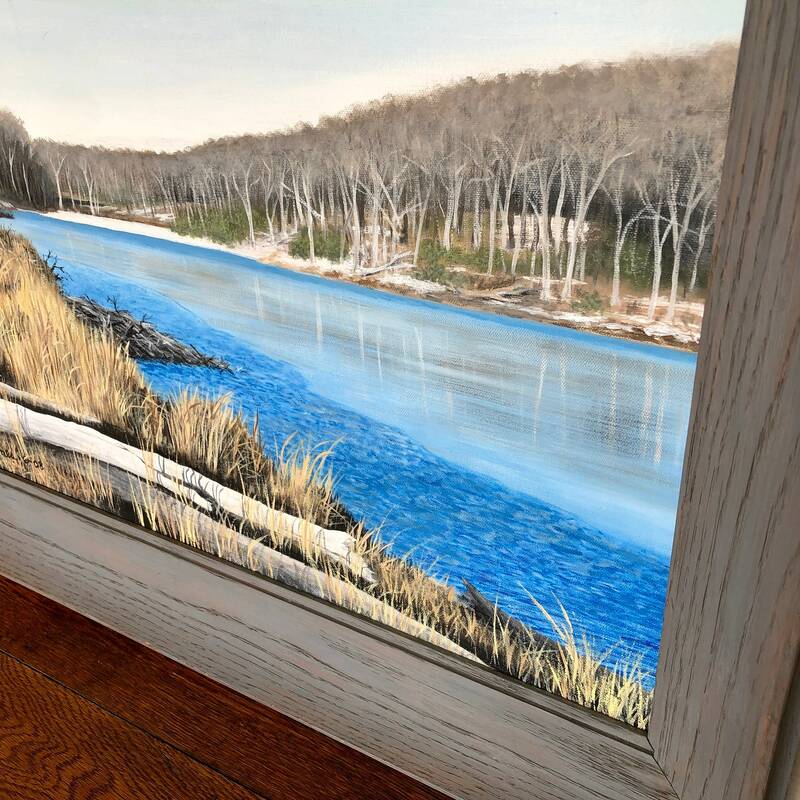 • Original wall art with gorgeous detail of a thawing lake in NJ. 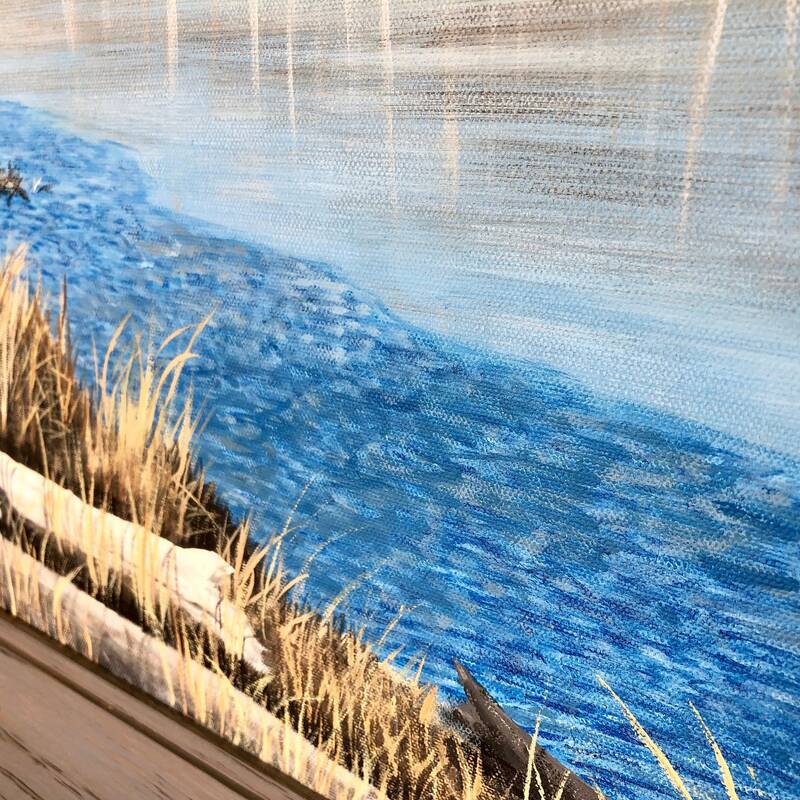 An award-winning artist, Jessica has always been inspired by nature. 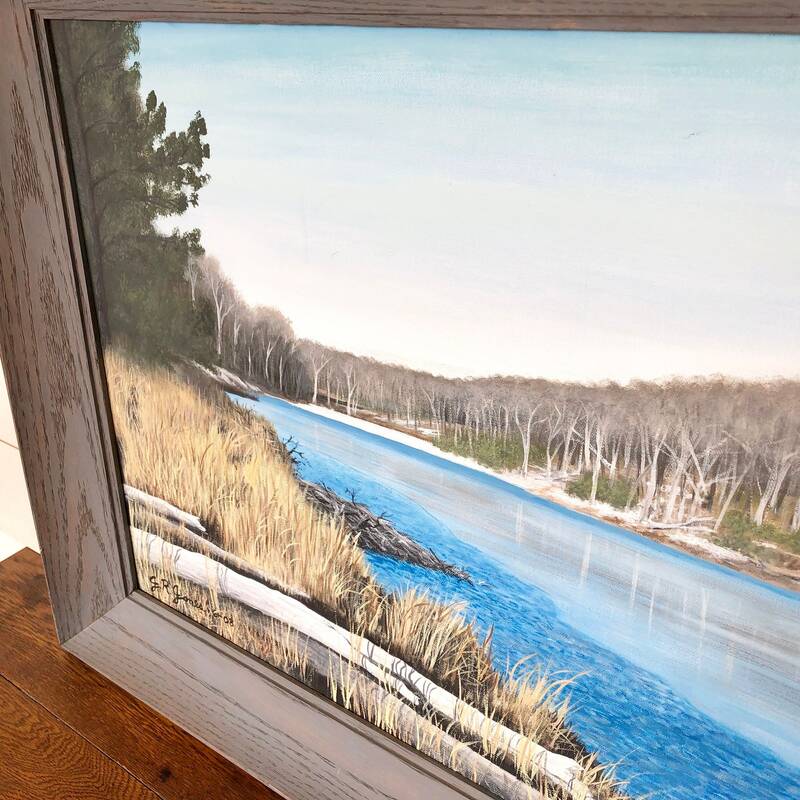 She enjoys recreating natural scenes on canvas with realism and attention to detail that brings her art to life. 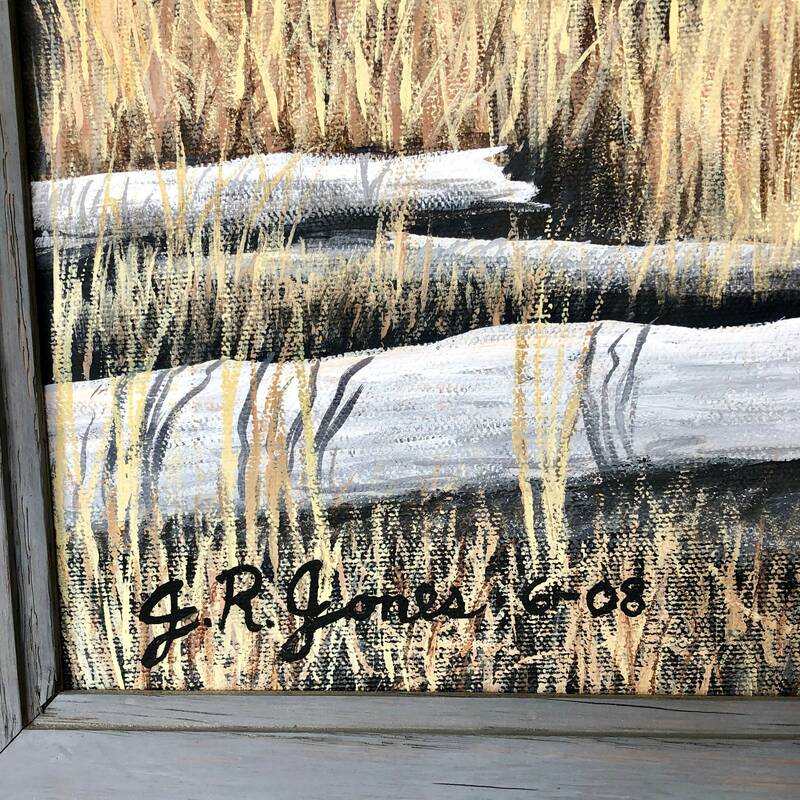 Her specialties include landscapes, wildlife, and water. 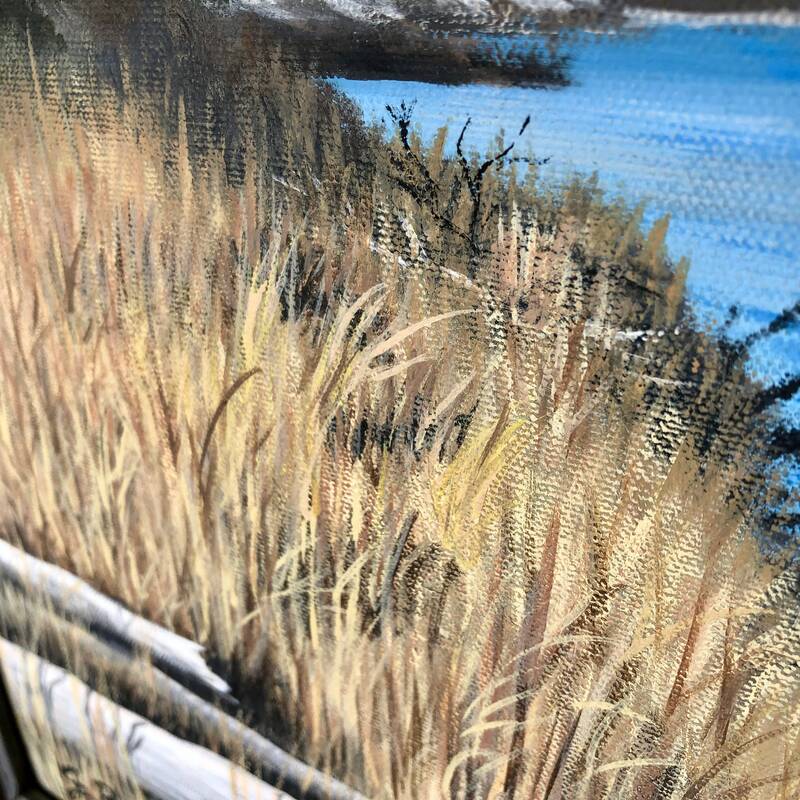 She derives much of her inspiration from her travels and from rural New Jersey, where she currently resides. 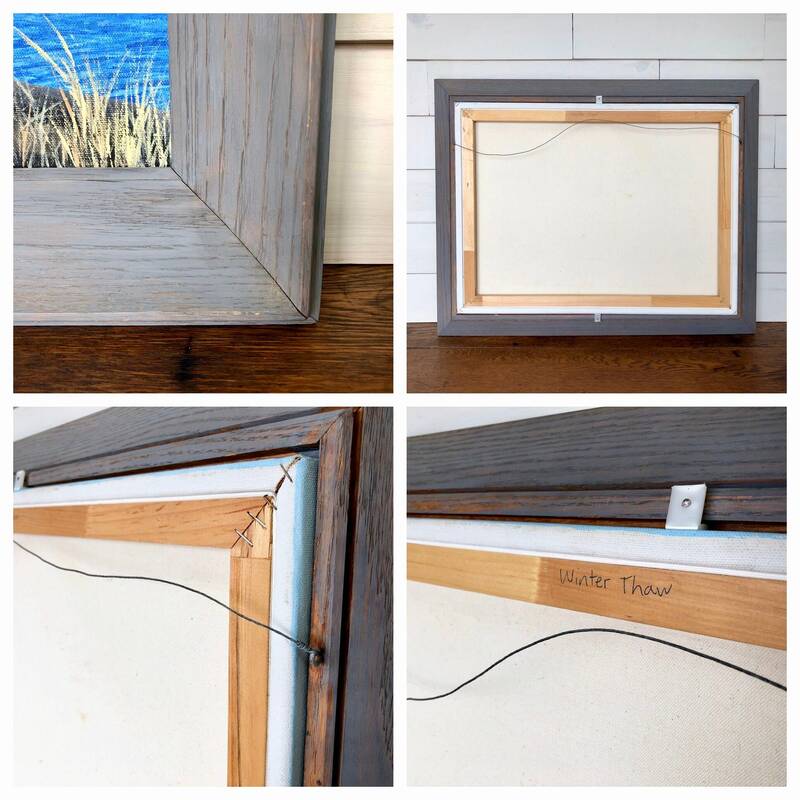 Custom work available - please convo us with your request for more information. For unique vintage and antique pieces of distressed furniture and home accents, please browse online or visit our shop in Newton, NJ 07860.